Guests of The Ritz-Carlton, Dove Mountain can now enjoy exclusive access to the traditionally members-only Gallery Golf Club in Tucson. The private 36-hole Gallery Golf Club has combined services with the Golf Club at The Ritz Carlton’s 27 award-winning holes to offer an unprecedented total of 63 World Championship Match play holes available to guests of the five-star resort. Nestled against the spectacular Tortolita Mountain range, the Gallery Golf Club includes two courses: the 18-hole North Golf Course, ranked #1 in southwest Arizona by Golf Digest, boasting sweeping views of the Sonoran desert landscape, and the South Course that’s also been nominated as one of Golf Digest’s 100 Best. Guests may now request access to the Gallery offered at $225 per person, per round. Existing play also remains available at the neighboring, 27-hole Jack Nicklaus signature Golf Club at Dove Mountain as well. 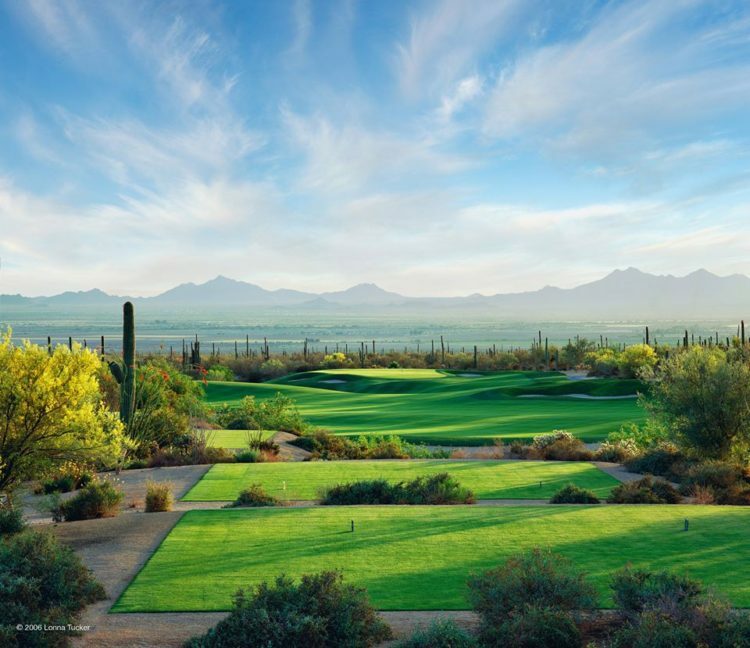 Both Dove Mountain-area golf clubs provide full-service golf, professional golf instruction, junior programs, luxury clubhouse facilities, and popular restaurant and bar offerings. For more information, please visit www.ritzcarlton.com/dovemountain. The Ritz-Carlton, Dove Mountain is located at 15000 North Secret Springs Drive, Marana, AZ 85658.